I love when technology makes life easier! Here's an easy free way to communicate important messages with your students' families- using Remind 101. The app/website Remind 101 provides teachers a way to communicate quick messages to families (students). It works with any phone that can receive texts, or families can sign up for email notifications. Teachers give parents a code to register for their class. Parents text the code in, provide a name to associate with the number and begin receiving your messages. Messages sent by the teacher are received through text message or email. Teachers can schedule events in advance that will be sent to their families on the day and time they choose. Teacher are also able to see what messages have been sent as well as who received the message. Families cannot text you back. 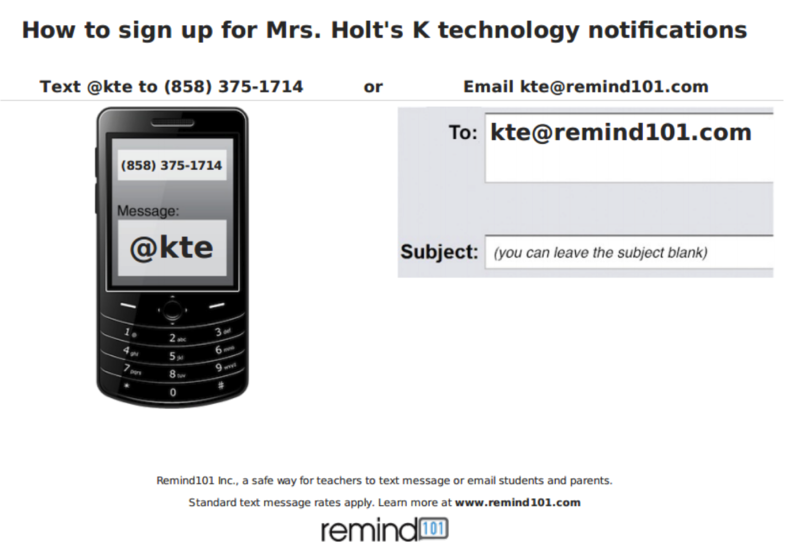 You can sign up for my K tech notifications and I'll text occasionally when great apps are free or newly released! Could you please tell me where the conference in Detroit will be? :) Hope you'll make it!